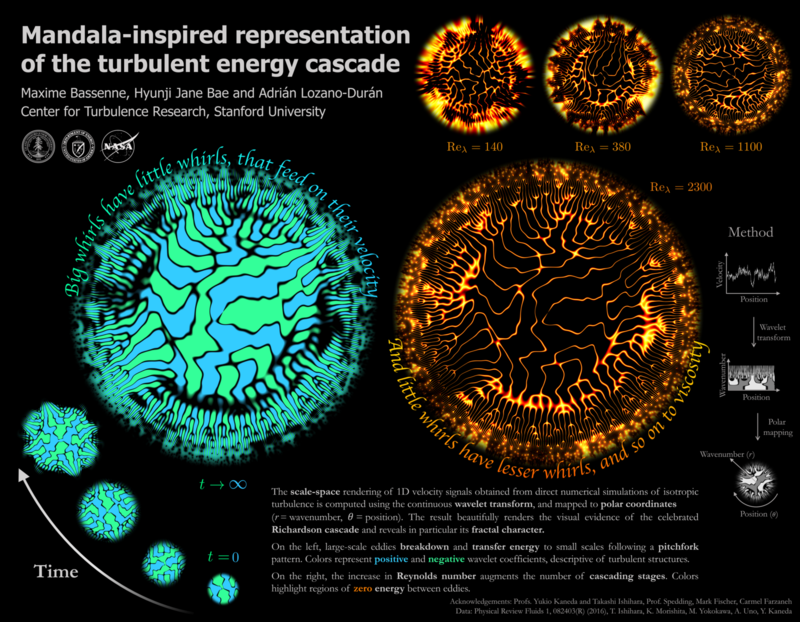 The poster presents a striking way of looking at turbulent motion. Signals obtained from the numerical simulation of isotropic turbulence are wavelet transformed to show the scale content of the data over space. The wavelet graph is then colored and spinned into a vibrant mandala. The result beautifully renders the visual evidence of the celebrated Richardson cascade and reveals in particular its fractal character: it shows that large-scale eddies breakdown and transfer energy to small scales following a pitchfork pattern, and that the increase in Reynolds number augments the number of cascading stages. 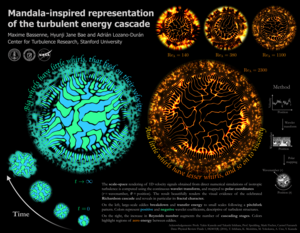 These representations provide a deeper insight into the turbulent energy cascade and highlight the complexity of flow phenomena that surround us.